Kubity will say goodbye to the desktop application and introduces a better, faster, and more personalized way to communicate in 3D. This change will mean there will be no software to install, and no longer any need to drag and drop. Instead there will be a simple plugin for SketchUp and Revit. 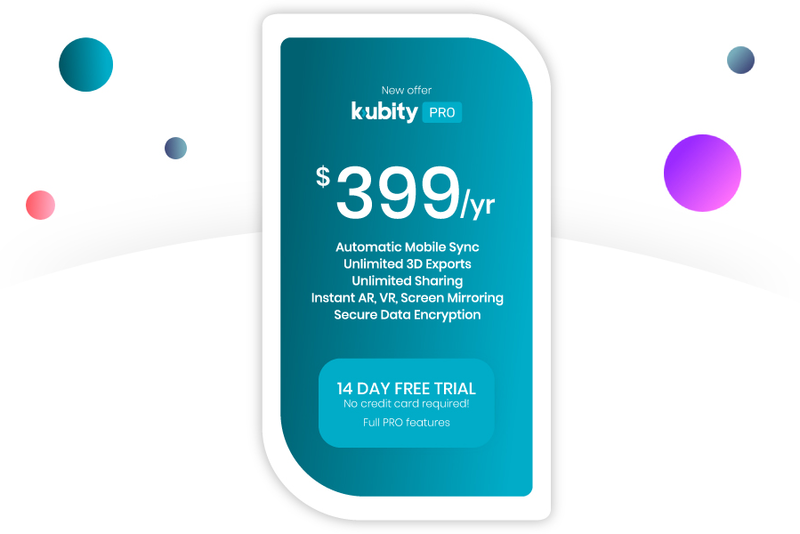 In addition to going desktop-less, Kubity will adjust the pricing to 399 euro/year - a more accurate reflect of the value of service, quality, growth and competitiveness. The phase-out of Kubity desktop and the new pricing will take effect on October 10, 2018.